The Three Peacocks are evolving into a chill lush green alfresco dinning with meticulous planned landscaping with semi-permanent resident peacocks roaming the grounds. 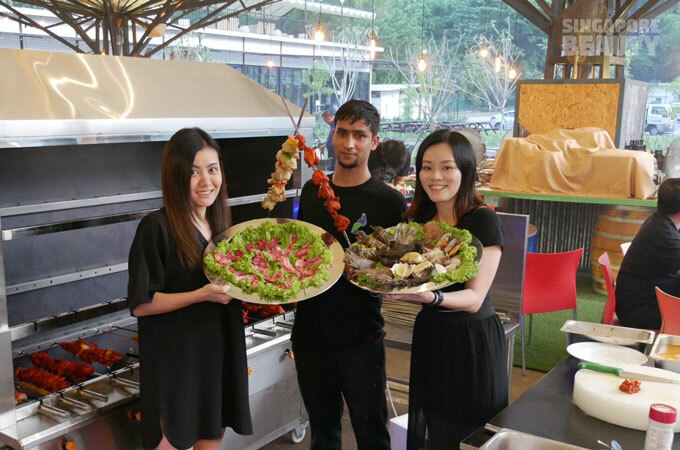 Newly added to the menu are cold appetizer station, tortilla wraps & doner kebab station, truck-size gas grill machine for Tandoori-style chicken skewers, outdoor BBQ live station, a whole new collection of various prized cuts of beef, local delights and cooked Asian food station. 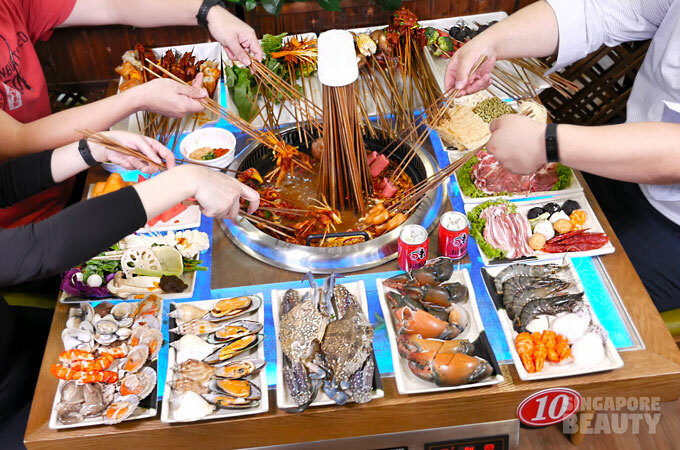 It is a barbeque buffet of live seafood consisting of tiger prawns, mud crabs, shucked oysters & iced seafood. Care for some palm size live oysters? 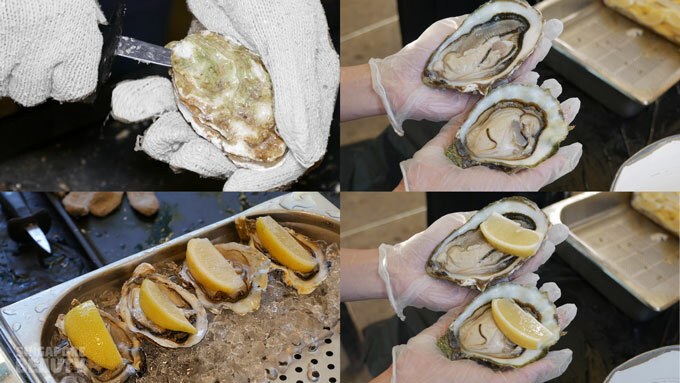 Creamy succulent oyster on rocks with a drizzle of tangy fresh lemon juice. 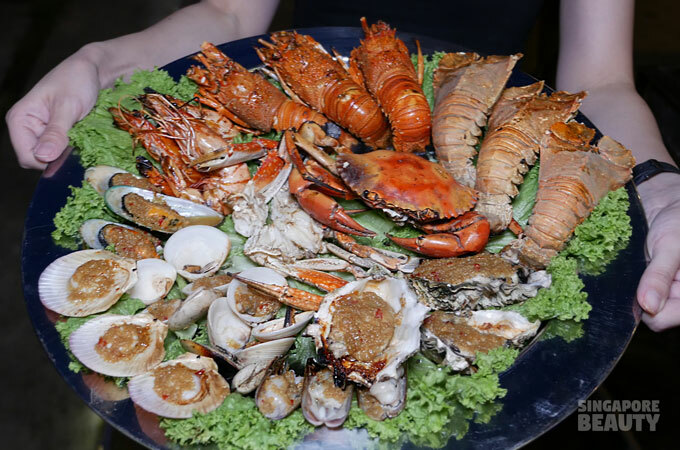 There are seasonal seafood on ice tuatua(clam), Indonesian scallops, mussels, scallops, white clams, flower crabs, bamboo clams, slipper lobsters, tiger prawns and baby lobsters. 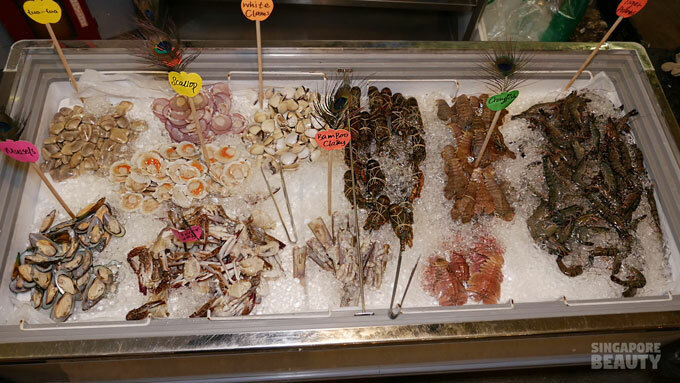 Some new additions to the family of iced seafood are langoustine (Norway Lobster), crayfish, scampi, angka prawn, diamond clams and blue crawfish. 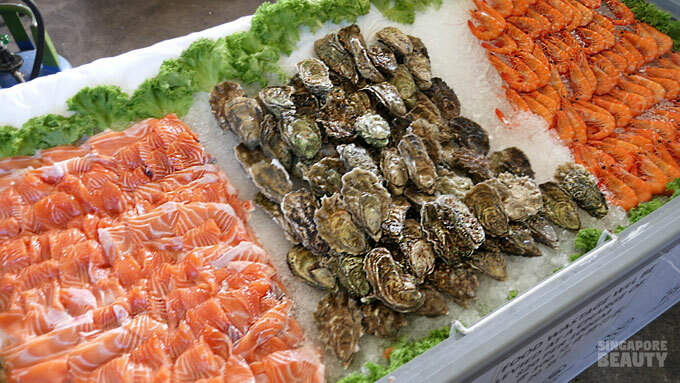 Cold appetizer station – featuring a variety of appetizers consisting of oysters, salmon sashimi and vannamei (whiteleg shrimp). Dip them in the four sauces (lemon garlic butter, cream cheese, and sukiyaki Sauce and mignonette Sauce) provided. 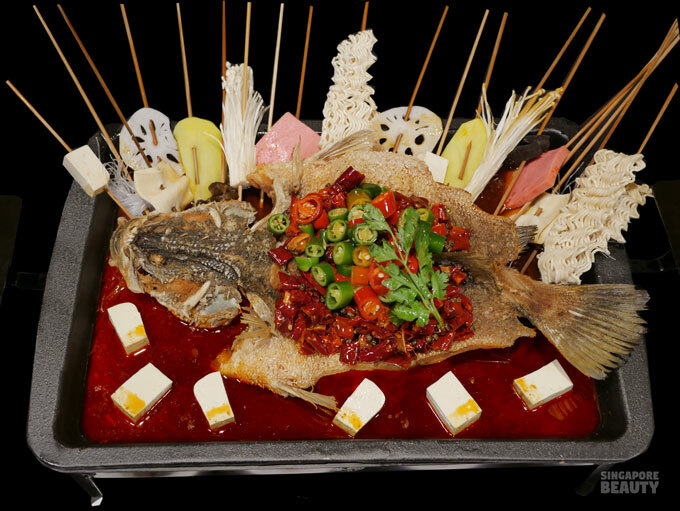 Enjoy the sweet and firm textured vannamei, succulent oyster and melt in your mouth salmon sashimi. Tortilla wraps & Doner kebab station – Meat is marinated overnight in a mixture of grounded spices such as coriander seeds, cumin, peppercorn, smoke paprika, cayenne pepper, thyme, garlic, cinnamon, mayonnaise and some lemon juice. 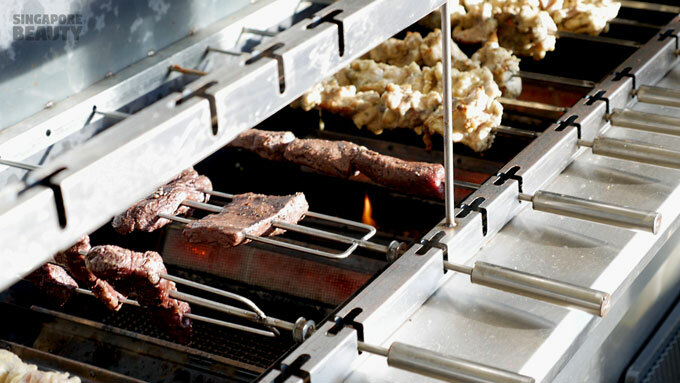 Watch the juices from the meat stack oozes out as it grills slowly on the rotisserie. 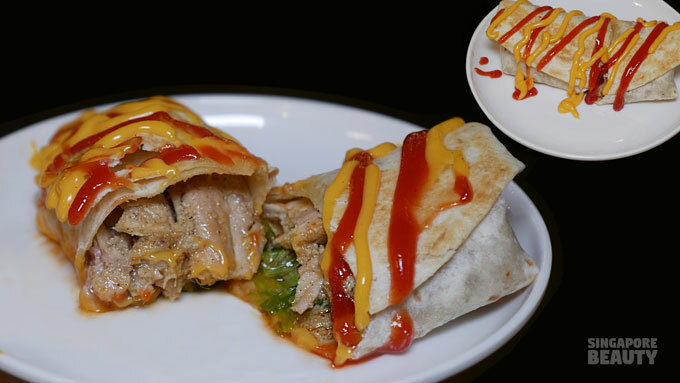 These thinly carved pieces of savoury chicken from the spit are served at the live station in a tortilla wrap. Wrapped in a lightly toasted Tortilla with cheese omelette finished off with a rich drizzle of cheddar cheese and tangy tomato sauce. 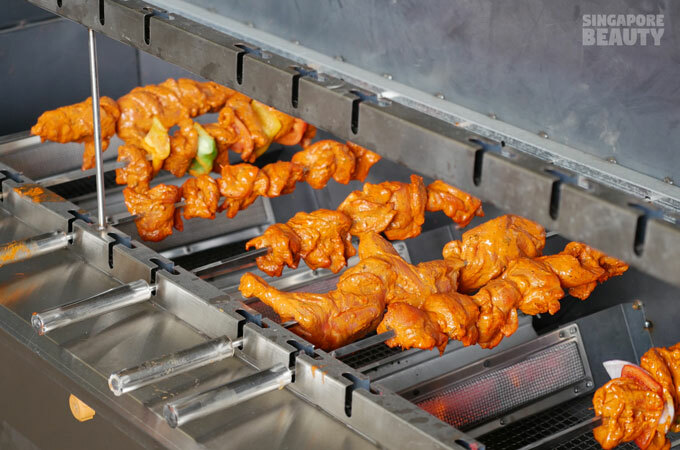 Truck-size gas grill machine that grill enough Tandoori-style chicken skewers to feed an army of hungry diners! 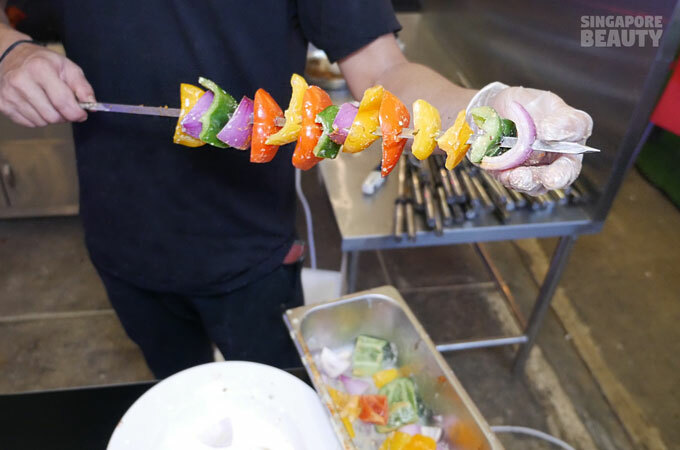 These chicken skewers are marinated in a yogurt mixture of spices such as Cayenne pepper, red chili powder and turmeric that gives it a luxurious orangey coat. Anyone fancy some roasted chilli peppers to go with the savoury Tandoori-style chicken? These are served with dashes of limes and tangy onions to complement the richness and flavours of the Tandoori-style chicken. 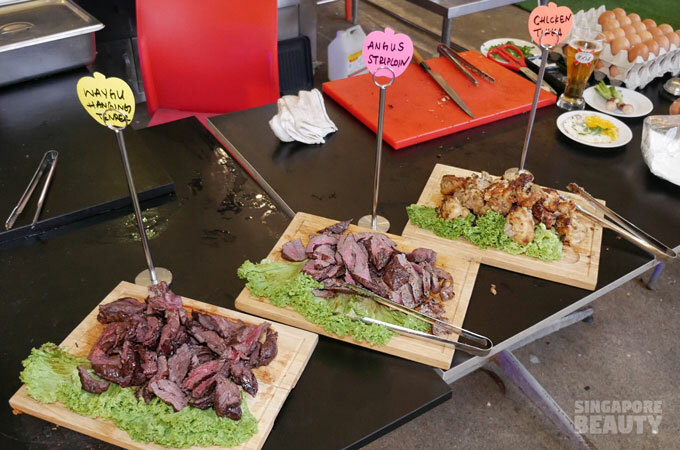 How about more hot off the grills Wagyu hanging tenders, Angus striploin and chicken tikka? 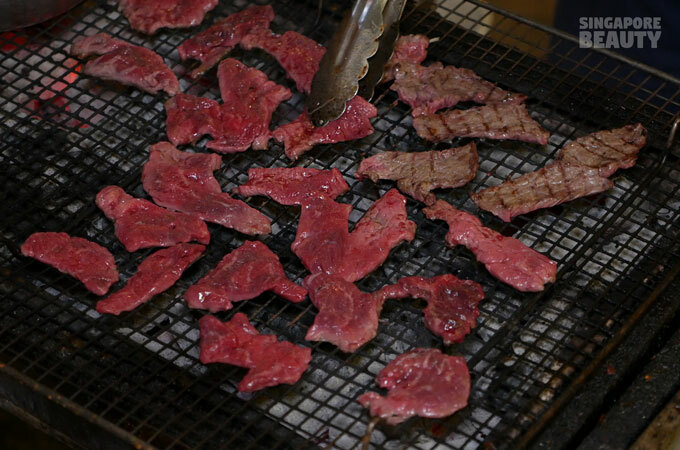 Wagyu hanging tenders and Angus striploin grilled with a pinch of sea salt and grounded black pepper corns. Chicken tikka marinated with yogurt, chilli, ginger, garlic, lemon juice. Served to you in delightful slices. 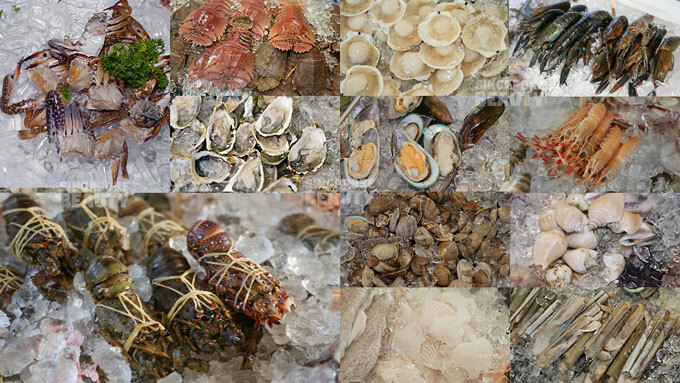 Get yourself a platter of your favourite seafood here and start barbecuing! 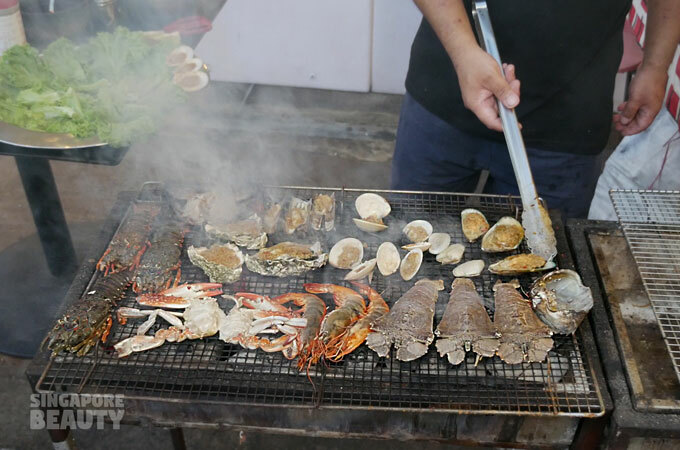 Barbeque on the charcoal BBQ grills and do remember to melt some of the free flow cheese to add to your hot-off-the grills seafood. 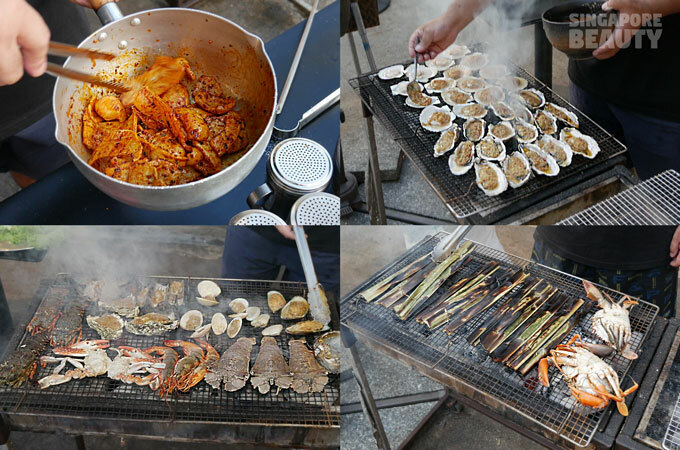 Barbequed seafood cannot get better than this. 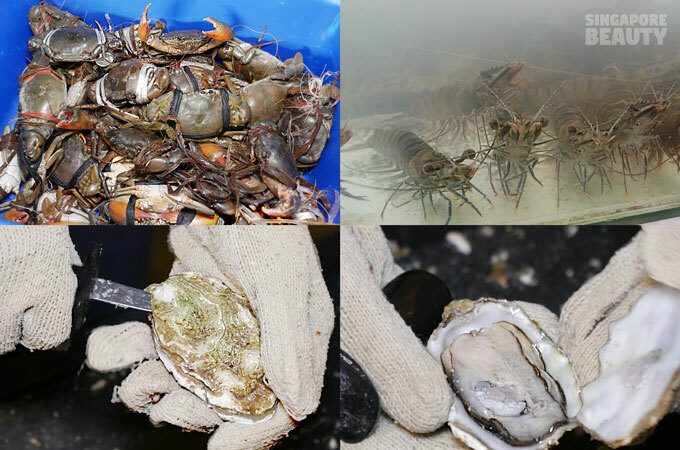 Oyster with garlicky sauce and some sea salted seafood with a smoky flavour. 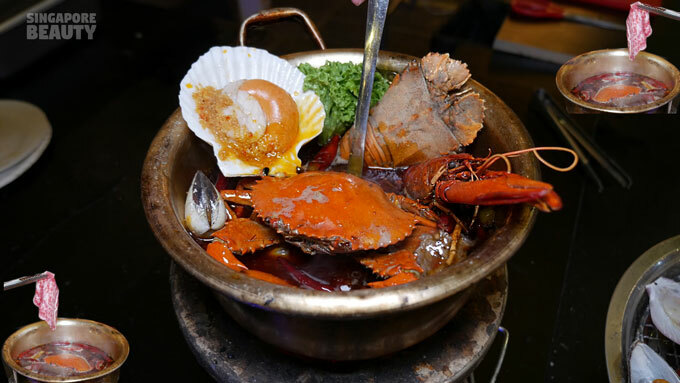 For lovers of authentic charcoal hotpot, do add on the surf and turf style hotpot. 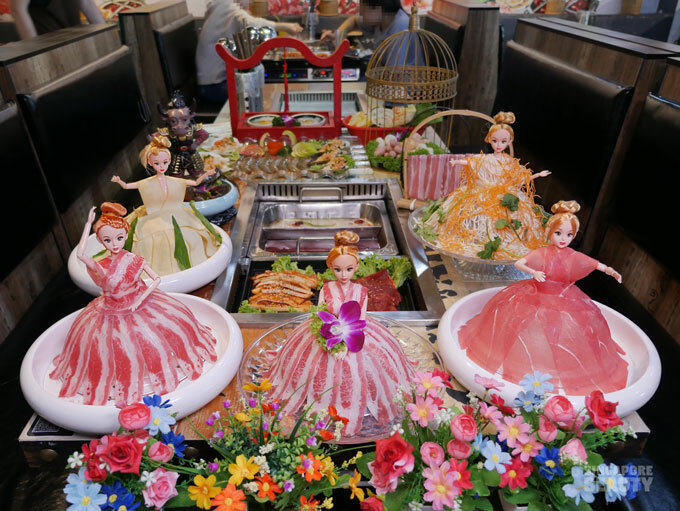 The soup bases available are pork big bone, Mala (麻辣) and Kimichi. 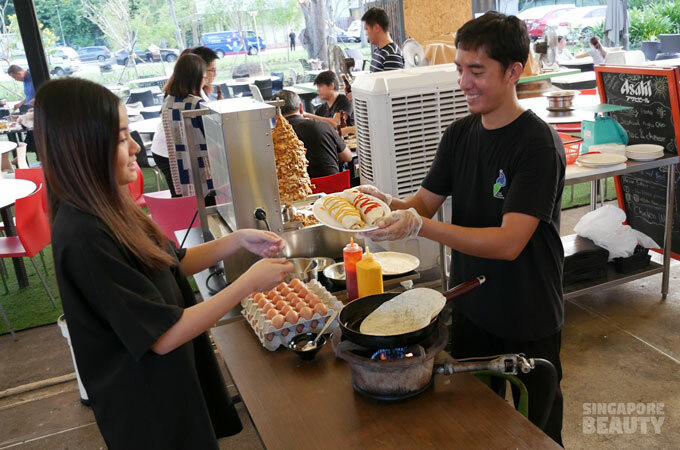 Outdoor BBQ live station – The station master will gladly help to barbeque your food at your request. However do note that the barbeque station might take a longer time than usual when the request volume is high. 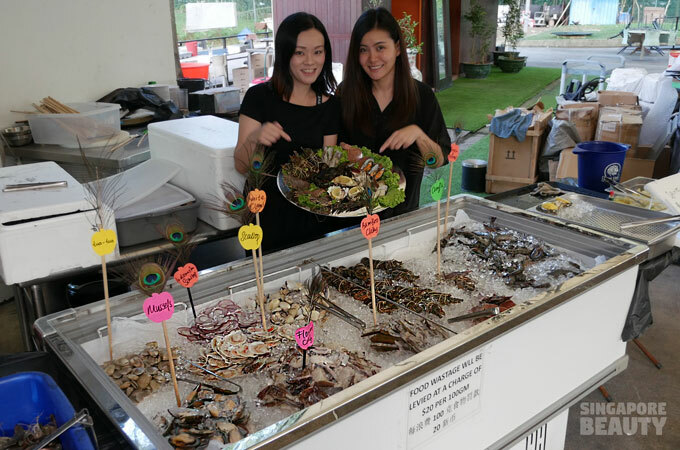 Order garlic butter oyster and scallops, mala (麻辣) flavoured squid, cumin pork ribs, Teriyaki Japanese Hotate and Otah-Otah at this live station. How about some old school otah otah hot off the grills? 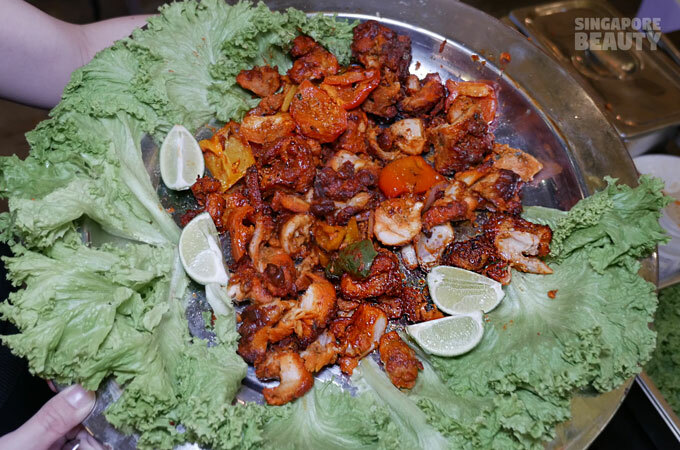 The mala flavoured squid is spicy and savoury. Very addictive too! 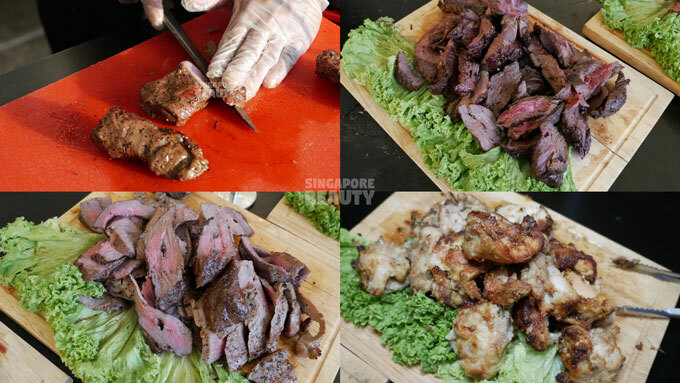 At the chilled meat and fungi cabin, you can find a variety of Wagyu beef (Eye round Wagyu, Karubi Wagyu, Wagyu, brisket, short plate), marinated chicken (mala chicken, soya chicken, Korean bulgogi chicken, black pepper chicken and teriyaki chicken) and pork(belly, pork satay, bacon) and many more. 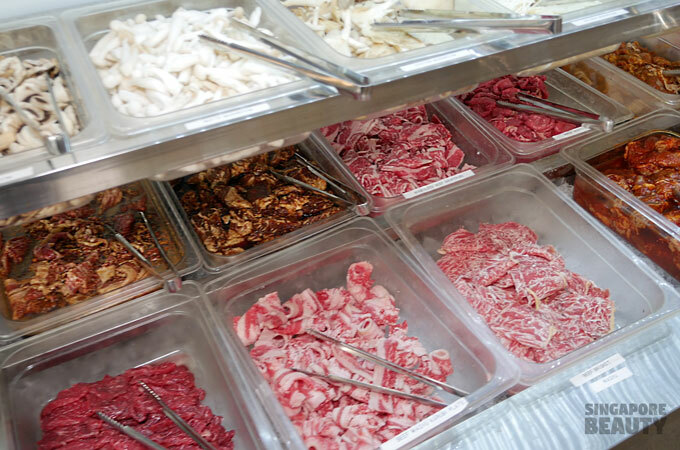 BBQ and shabu shabu meats (beef,chicken,pork) in 15 different savoury marinades, you will be spoilt for choice. 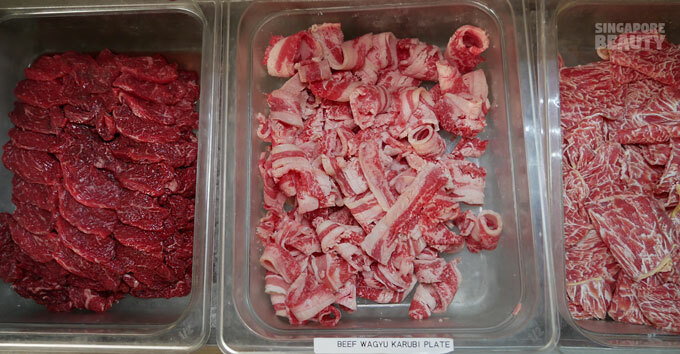 Watch the wagyu beef sizzle away on your bbq grids. 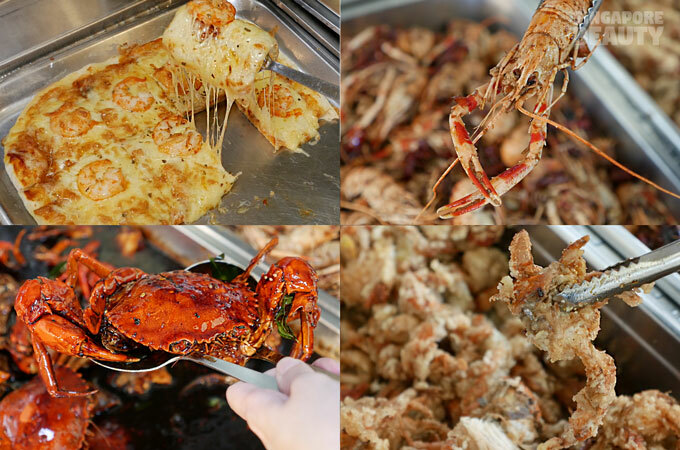 Cooked Asian food station – Soft shell crab with XO conpoy sauce fried rice, Thai grilled chicken with egg fried rice, crispy mantou with chilli crab sauce, hot wings, black pepper mussels, Kimchi dumplings, shishamo and seafood Pizza. These cooked food menus are changed regularly so that the diners get a variety to choose from. 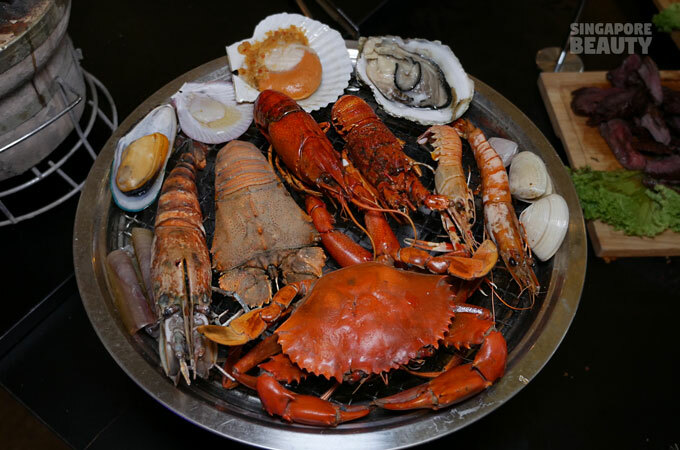 There is a weekend special cooked food like black pepper Sri Lankan Crabs, mussels and Mala crawfish. Cheese pull from the seafood pizza that dangles tauntingly from the fork. Delicious melty, gooey and savoury thin crust pizza that is out to please the taste buds. 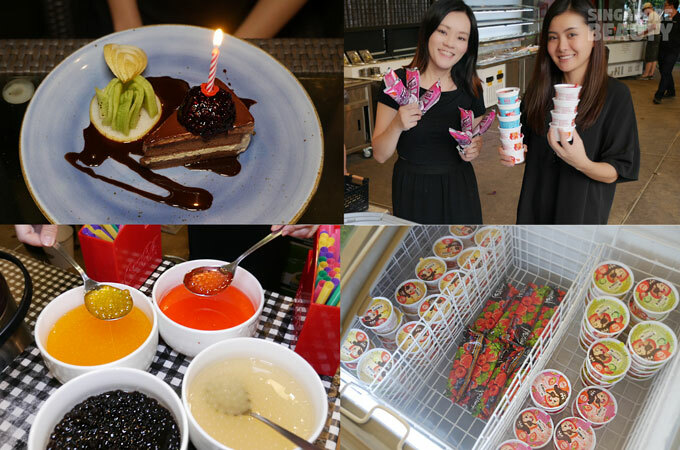 Top up $3.99 for unlimited soft drinks and Thai bubble milk tea with toppings. Great news for sweet tooth, help yourselves to unlimited ice cream or pop sticks at the newly added ice-cream freezer cabin. For diners celebrating their birthday at The Three Peacocks, the birthday guest gets a complimentary slice of cake from the house! A complimentary beer tower for every 10 pax booking for all days (exclude eve and PH) limited towers daily. *Please check for availability during booking. 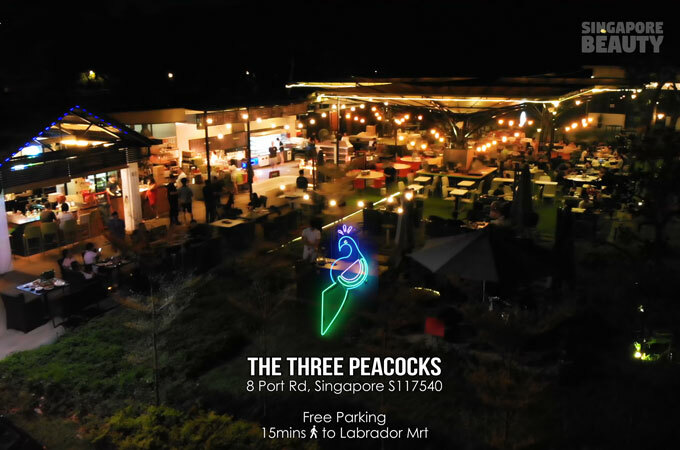 For each diner who like and share this video, get a bottle of beer on The Three Peacocks while stocks last for the promotion. This is a great chill-out place for gatherings for all ages and paw-friends are welcomed too. Hurry over to The Three Peacocks. The peacock is beckoning with promises of endless hours of good food and fun! 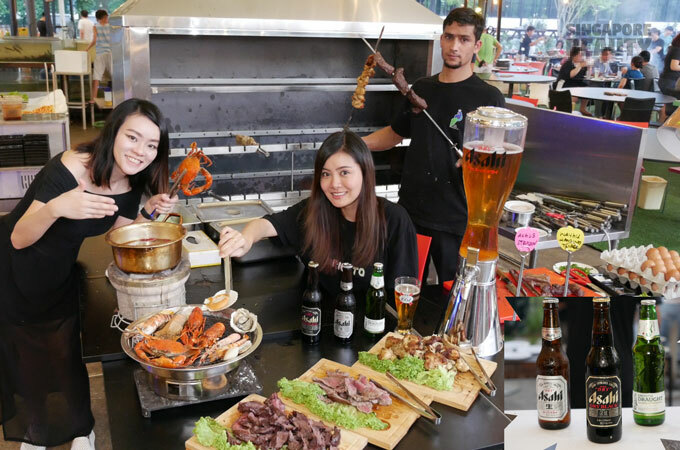 Promo 1 – A complimentary beer tower for every 10 pax booking for all days (exclude eve and PH) limited towers daily. *Please check for availability during booking. 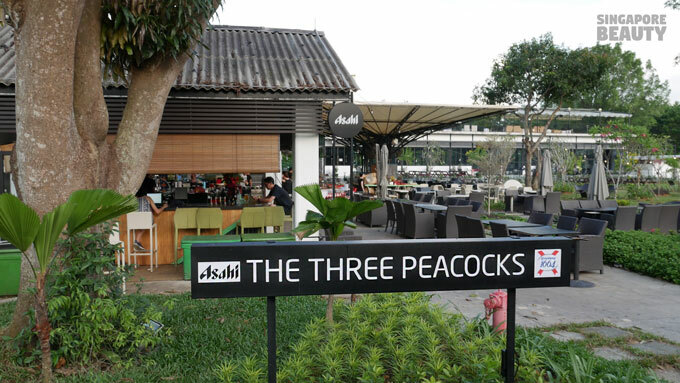 Promo 2 – For each diner who like and share the facebook video, get a bottle of beer on The Three Peacocks while stocks last for the promotion. Promo 3 – For birthday celebrations at The Three Peacocks, the birthday guest gets a complimentary slice of cake from the house! 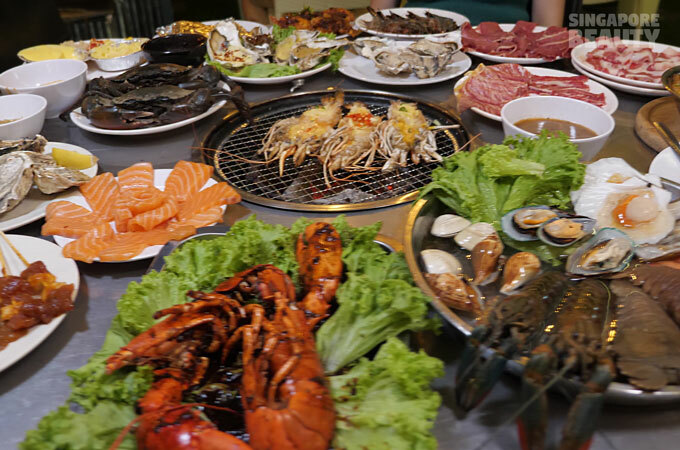 Promo 4 – For 4 pax and up, you can get both hotpot and BBQ grill. 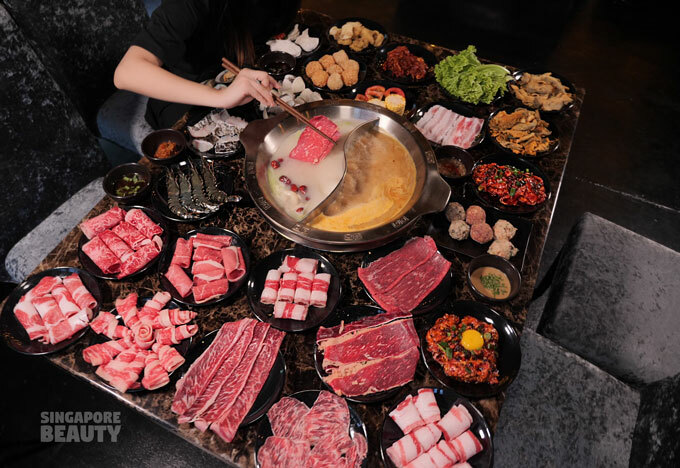 Hotpot only available from 8 June 2018. 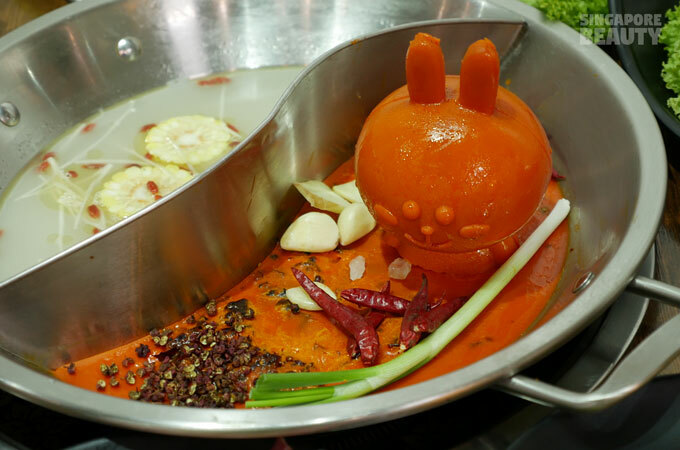 For below 4 pax-choose either hotpot or BBQ grills, or top up $10 for both. 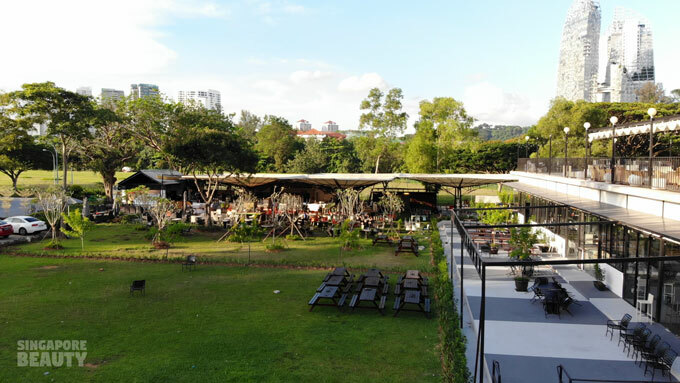 15mins walk from Labrador MRT station (CC27).